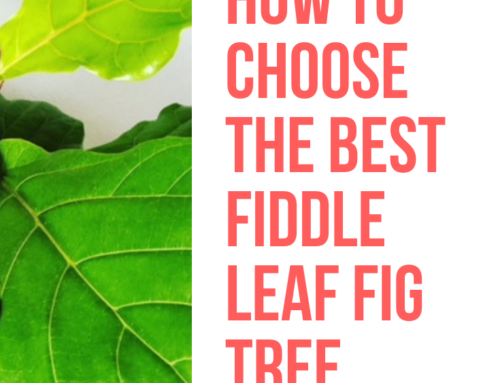 What Time of Year Should You Propagate Your Fiddle Leaf Fig? 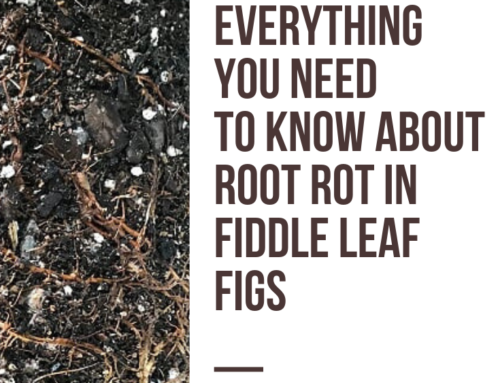 The best time of the year to propagate is in the spring. 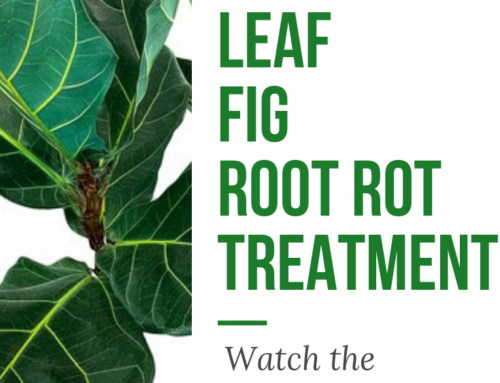 This is when your plant is naturally prone to new growth and investing in its root system. The easiest way to be successful is by cutting from a branch that is already producing new growth, which is more likely during the spring. Propagation in the spring will also allow plenty of time for your new cutting to thrive before winter sets in. 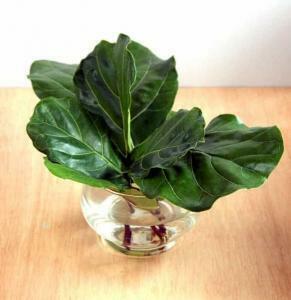 Purchase a rooting hormone like this one to help your plant grow new roots more quickly. 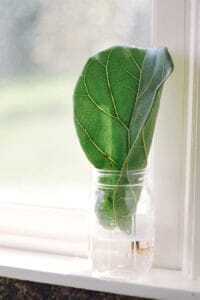 Follow the directions on the bottle and dip your stem in once before placing in water or soil. 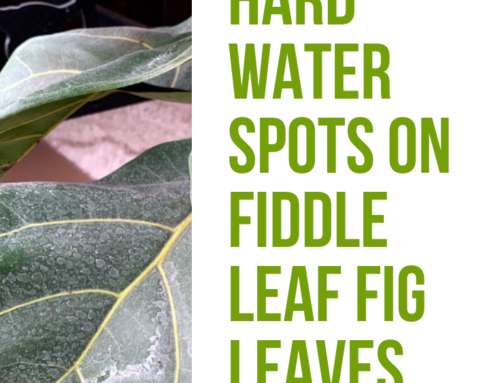 Be sure to check out The Ultimate Fiddle Leaf Fig Propagation Success Story with photos showing every step of the process and how to properly Prune and Shape your Fiddle Leaf Fig. 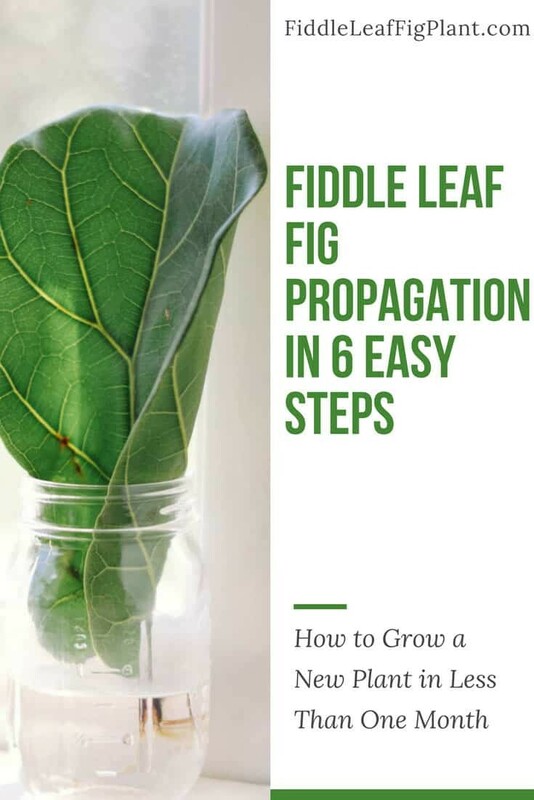 Can I propagate from a cutting in the Winter? I live in Australia so our winter’s are quite mild. You can! 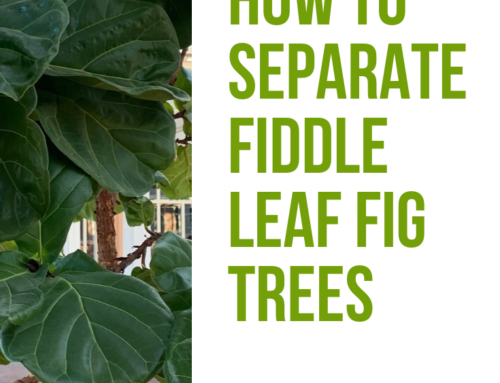 While the best time is in the Spring, if you give your cuttings plenty of light they may be able to propagate in the winter. Please let me know how it turns out! 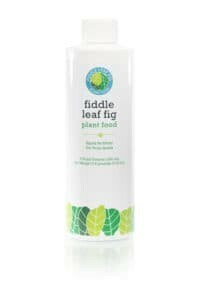 Hi Claire, Always glad to meet another fiddle leaf fig lover. Your picture under step five is from my blog Jewels at Home, and I would appreciate proper credit. Thanks so much Julie, I’ve added the credit! 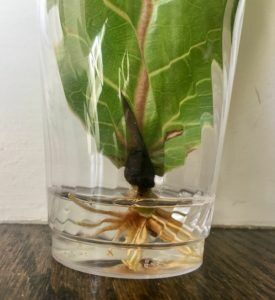 Hi, I have a cutting in water for 2 months and so far no roots. What did I do wrong.